The dataset provided in Figure 1 is provided from the Test Corpus 2 files. 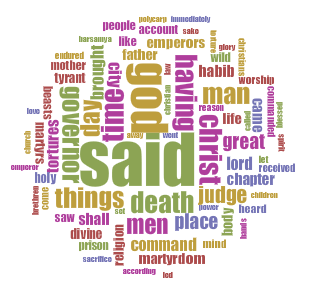 Uploading the Test Corpus 2 dataset provided to us onto Voyant, I feel as if the word cloud tells a story of its own. For instance, words like God, command, and martyrdom (as seen in Figure 1) provides biblical references to the Old Testament. Imagery of God fearing people are painted in mind – this is reinforced with words like judge, tortures, and sacrifice. However, focusing on the summary component on Voyant, I realize locations like Palestine plays an influential role with the text. Also, in Maccabees, for example, one can conclude the story focuses on a tyrant with strict laws who is harsh towards women and children. This is because tyrant is used at least 44 times, law 38, women 34, and children 31. The dataset provided in Figure 2 is provided from the Test Corpus 2 files. 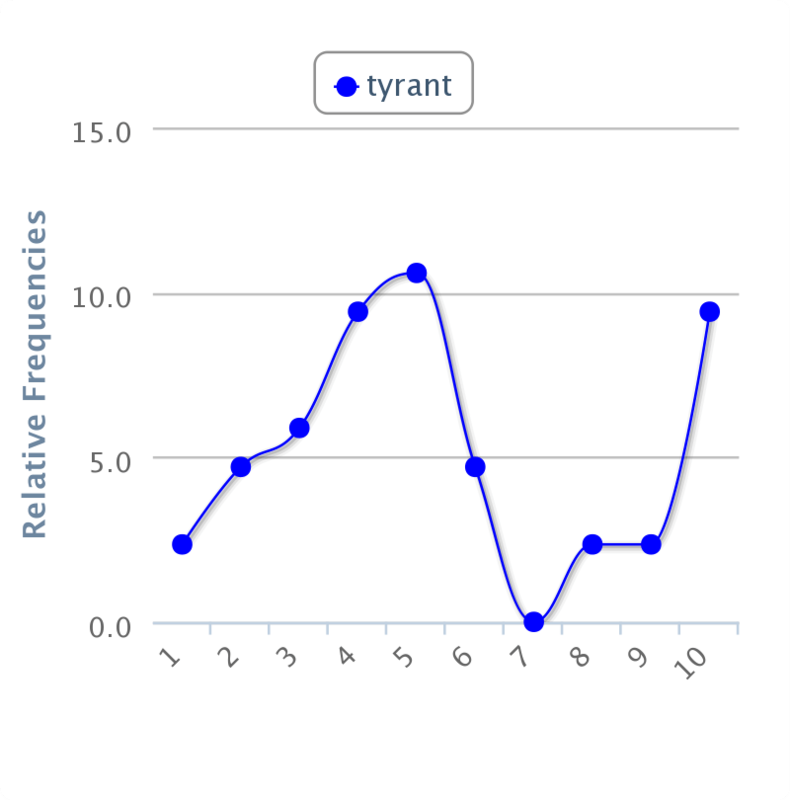 Upon clicking on tyrant in the summary component, I am shown the frequency for the aforementioned word. In segment five of the document, the word was used the most – segment seven was when the word was used the least. After using this assignment to get familiarized with the program, I stand by what I said the first day of class – for me, “it’s a working relationship” when it comes to technology. I admit I am not the most “tech savvy” person and I had difficulties using this software. I have a feeling that Digital Humanities may be a difficult course because of my incompetencies with technology; however, I will also admit that the program was beneficial. Voyant made me realize the power of words and how we are able to distinguish certain writers. I honestly cannot wait to fully comprehend this program (and learn how to successfully manage a blog) throughout the course of the semester. I am not sure why but I could not find this data set it would have been interesting to see this broken down. It is interesting that someone created this program. I think it might have many uses if your a person who is doing a lot of reading and research. I much prefer inftmraoive articles like this to that high brow literature.